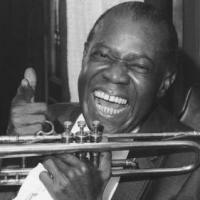 This Thursday, August 4th, join WKCR as we celebrate the official birthday of one of the foundational figures of jazz: trumpeter and vocalist Louis Armstrong. We will be preempting all regular programming as we honor Pops with 24 hours of swing beginning at midnight. The broadcast will follow up our celebration of Armstrong’s chosen birthday on July 4th. Listen at WKCR 89.9FM or online at www.wkcr.org.